Today early morning I started with cross country skiing. Along the beach. Right, I could complain about Toronto as much as I can.. but where else I can indulge myself with skiing side by side to waves smashing on the rocks? Unforgettable experience. We had snowstorm yesterday, and lucky me, I don’t have to spend all weekend swearing, trying to dig the car from the bottom of 30” snow. I’m that annoyingly smiling girl, elegantly (so I think) sliding through sparkling crispy snow. Of course I did not take any camera with me, although view was quite spectacular to regret it at least dozen times. The trees nearby beach are all covered in white fluffy hoarfrost, rocks in the water resemble huge icicles and stalactites. 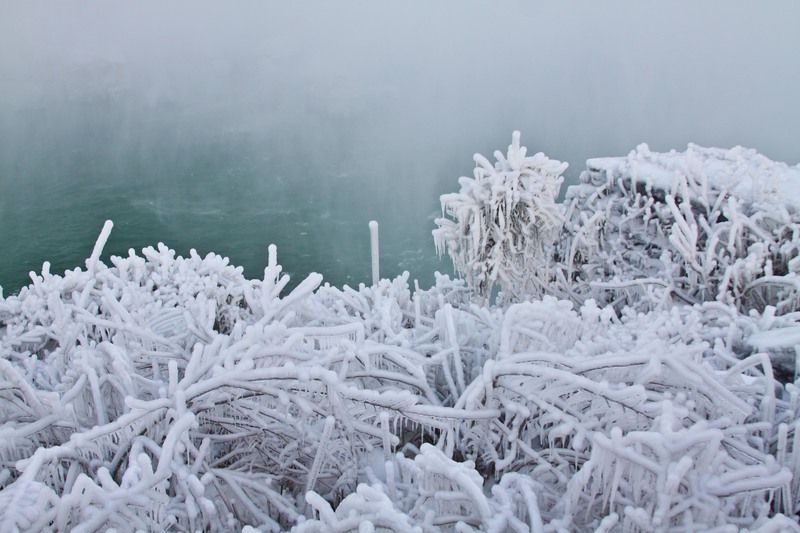 But I’m not leaving you without pictures, those are from my trip to Niagara just few days ago. Real Iceland Kingdom, kingdom of Snow Queen. Although I went on trip all prepared, my fingers got so frozen to just be able to change iso and press shutter. i had to forget about changing lens, got stuck with 28-135mm. Ah, well, still not bad, right? Up to you to decide, if I succeeded. I really need and want all your criticism, comments and encouragement to boost my photography! As they say, the knowledge and skills are great, but if one can’t share them.. what’s the point? 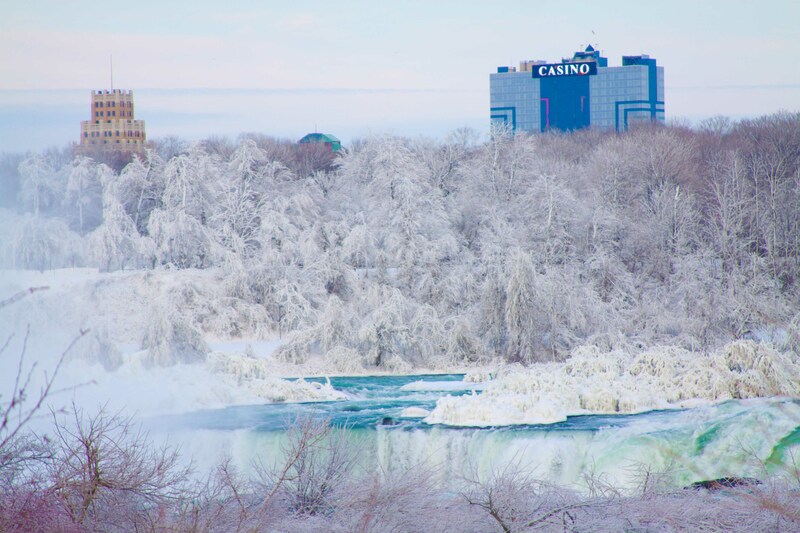 This entry was posted in Nature, Travel and tagged frozen, hoarfrost, ice, lake, nature, Niagara, photography, snow, winter on February 9, 2013 by Imagery Tales.